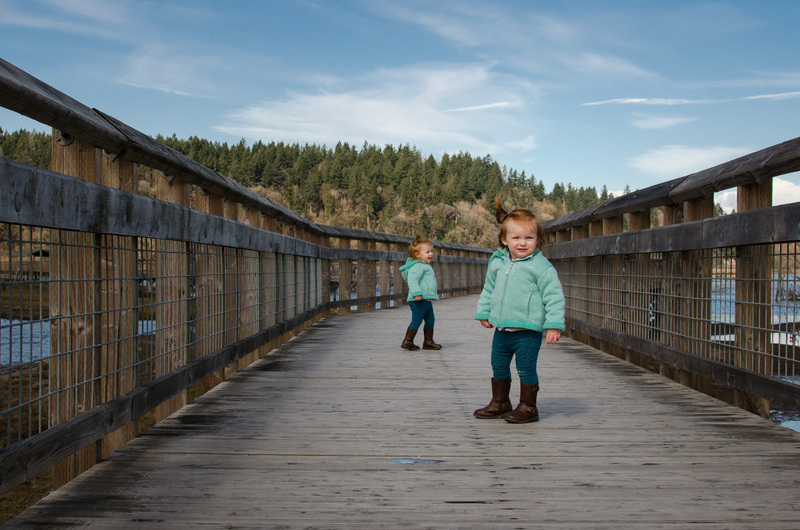 I try to take my children outdoors every day. 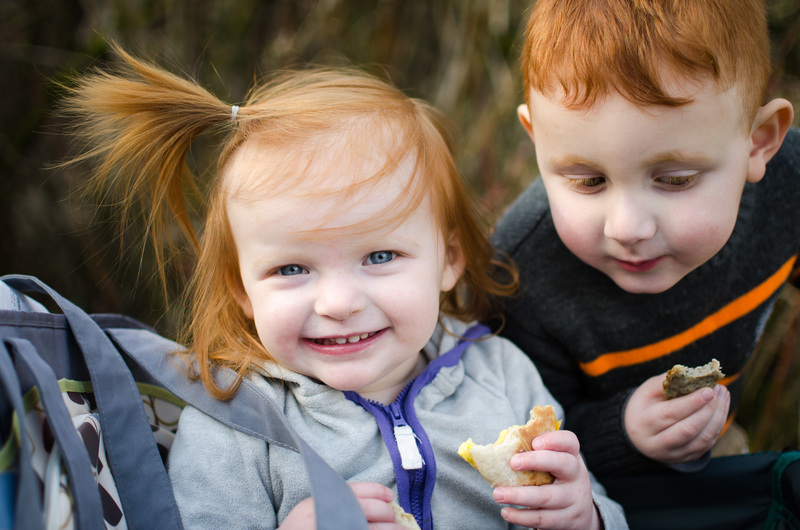 I am a stay-at-home mom of 20-month-old identical twin girls and a four-year-old boy. 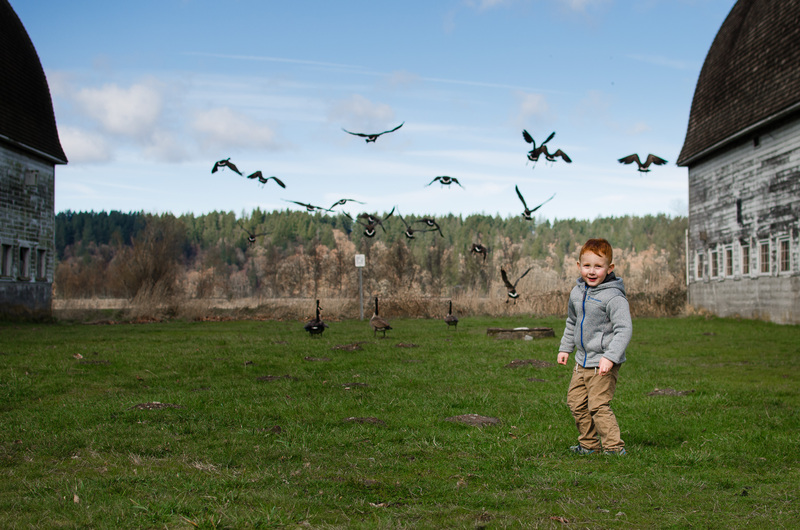 We love getting out in nature, especially here in the beautiful Pacific Northwest. But let's be honest, I can lose my mind being cooped up in a house all day with three little kids! It's amazing what a little fresh air and Vitamin D from the sun will do for your spirits. I love where we live because we don't need to travel far to explore the outdoors. 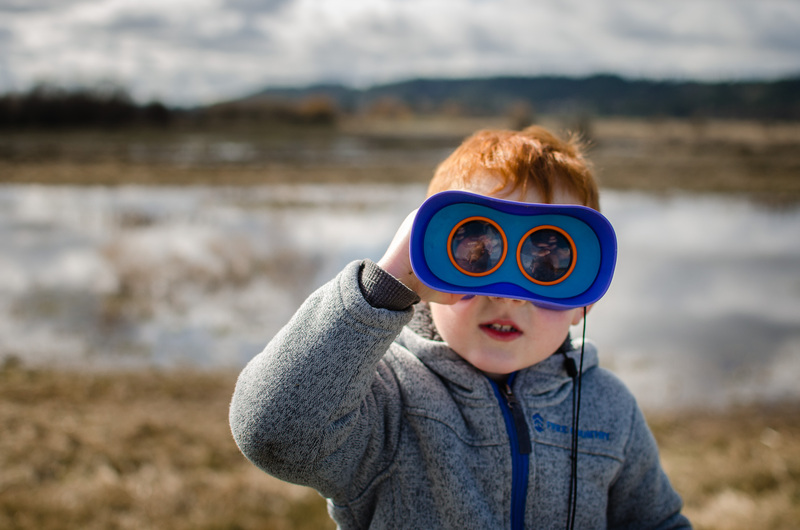 Today we traveled 20 miles south to the Nisqually National Wildlife Refuge where fresh water meets salt water. This wildlife preserve is a habitat to hundreds of species of migratory birds, fish and other wildlife. We ate a little breakfast as we walked along the boardwalk. 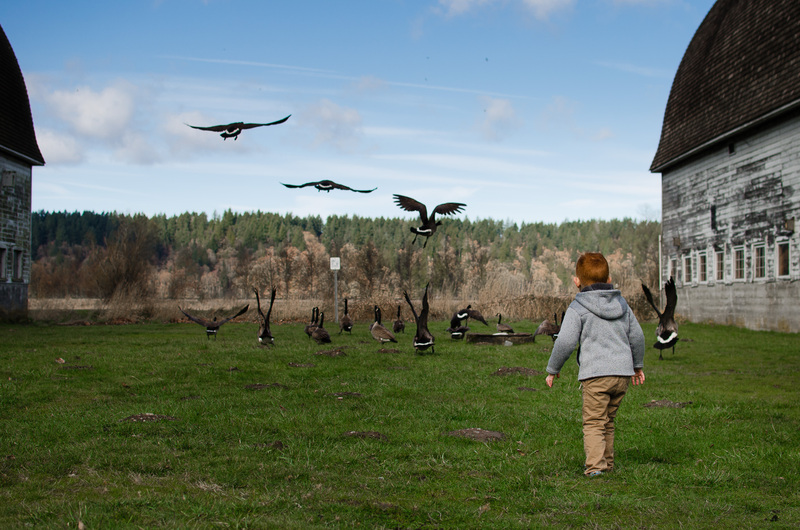 As we came up upon two old barns, we saw a group of geese in the grass. Of course my son thought it was hilarious to run after them and scare them away. 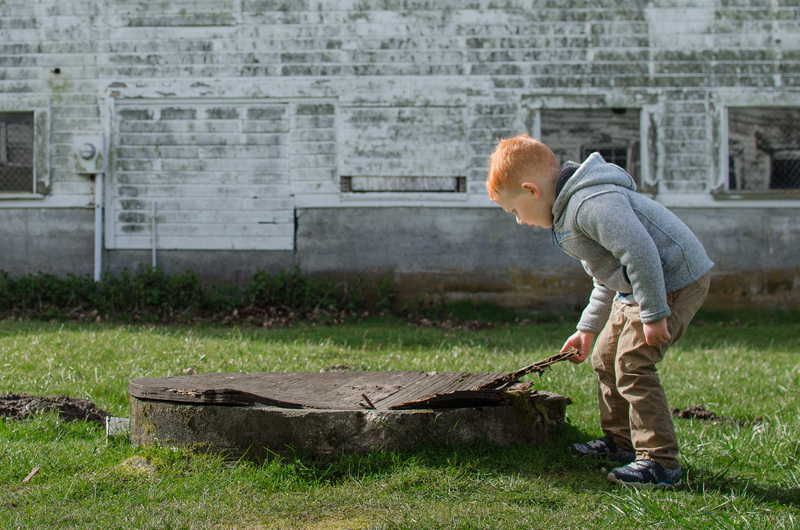 We explored around the barns and saw what looked like an old well. My son said that it was probably a wishing well. I truly love his imagination. Next, we walked along a gravel pathway to a second set of boardwalks. There were more geese lining the pathway. They must be used to being around humans, because we were able to get extremely close to them. It's safe to say that my girls learned the word "geese" today. 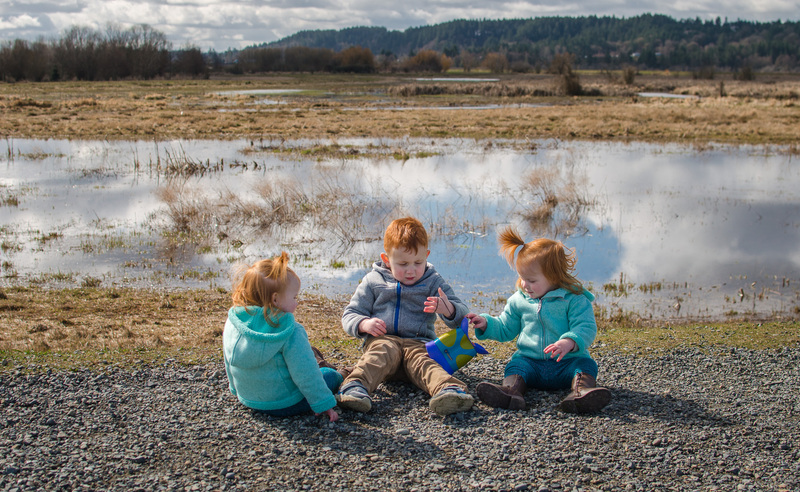 My kids stopped to play in rocks and puddles, which is very common in our adventures. 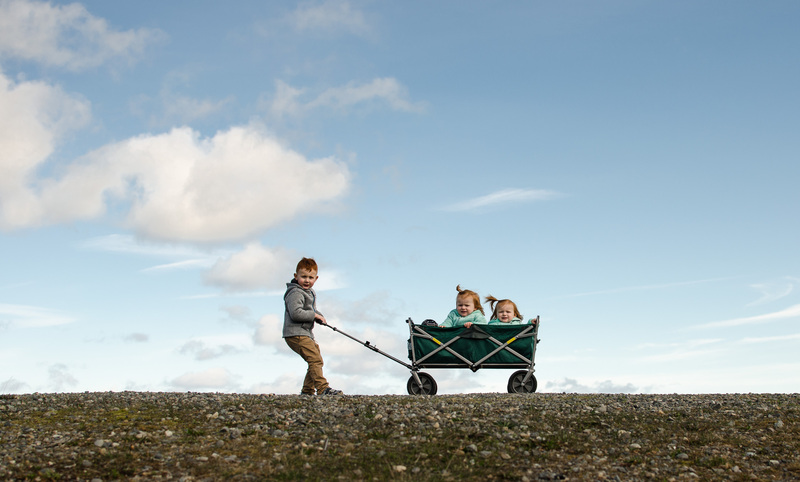 We walked along the boardwalk until they all got too tired, then mama got a good workout pulling all three in the wagon back to the car. 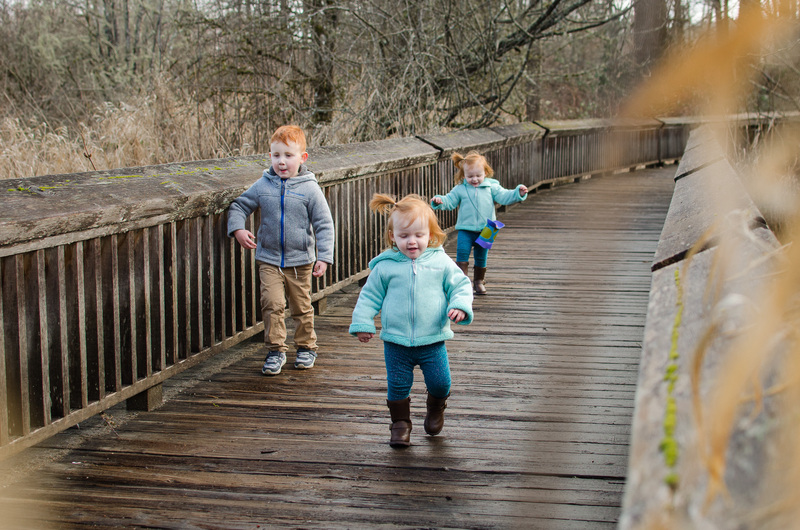 It's not the easiest thing getting out of the house with three little ones. It's definitely easier on the weekends when dad can come along. But I've made this our daily routine and I hope my children will enjoy and learn from these experiences.